When choosing an insurance cover for your large fleet policy, it is best to use one where someone you know has had good experience. Here at Goldcrest Insurance we have been dealing with large fleet insurance for a number of years, searching for the best cover for your business and tailoring the policy specifically for your business. Goldcrest have established a good connection with the insurers which enables us to find you the perfect policy and more importantly save you money. Large Fleet insurance is essential for large business which own 5+ vehicles, instead of insuring each vehicle individually, all the vehicles will be under one policy. This will benefit you because there is only 1 renewal date rather than several scattered across the year. Another key benefit is that you only need to pay 1 payment per month again this is saving you time on administration. As your business grows the work will increase and you may require more vehicles to deal with all the incoming enquiries. Instead of phoning several insurance companies trying to find deals on insuring your new vehicles, you can simply just add them to the fleet policy, once again saving you time. 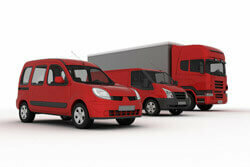 One key factor of a fleet policy for large business is that you can have what is known as a mixed fleet. As an owner of a business, you may own a company car. Instead of again checking elsewhere for quotes, a fleet policy enables you to insure the car with other commercial vehicles. If you are a large business and have various employees, rather than naming all the individuals you can have any driver type scheme. This again is extremely crucial for a growing business as drivers can quickly change between the vehicles without any hassle. Or just about any large business with 5+ vehicles. So why look any further, call Goldcrest Insurance now for a free quote and we guarantee to save you money.